Lucas Pouille’s lauded moment of feminism after the greatest victory of his career to date may yet go down as this Australian Open’s most enduring memory. Already tennis sits in a lofty position in professional sport when it comes to gender equality but there are still frontiers to be conquered and coaching is one of them. Andy Murray took the first step to eat away at a stigma attached to men being coached by women when he hired Amelie Mauresmo in 2014. A revealing interview he gave Elle magazine after they split is evidence of the shocking views held by some high-profile members of the sport at that time. “When it first came out in the press that I may be working with a woman, I got a message from one of the players who is now coaching. He said to me, ‘I love this game that you’re playing with the press, maybe you should tell them tomorrow that you’re considering working with a dog,’” Murray said in a 2017 interview. Growing up Murray’s strongest influence was his mother and coach Judy Murray, which perhaps speaks to the different prism through which he looks at gender and its link to performance. 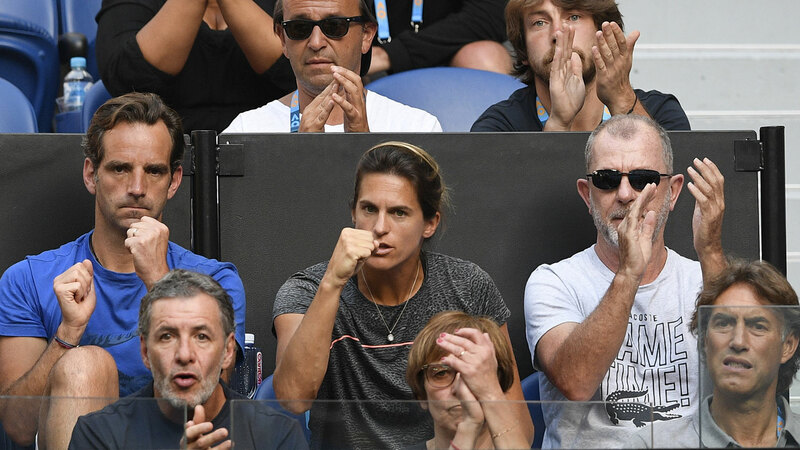 Certainly, Mauresmo’s start to coaching at the elite level, although it doesn’t yet include a grand slam title, champions the case for females to be given prominent roles in high performance tennis, a point that couldn’t have been better summed up by Pouille following his stunning quarter-final victory over Milos Raonic. “It’s not about being a woman or a man, it doesn’t matter – you just have to know what you’re doing,” Pouille said, attracting a deafening roar of approval from the Rod Laver Arena crowd. For coaches to get the best out of a tennis player they have to be psychologists too. The key to unlocking success in even the most talented players is working out what motivates them and how to push them to perform at the edge of their talent level. 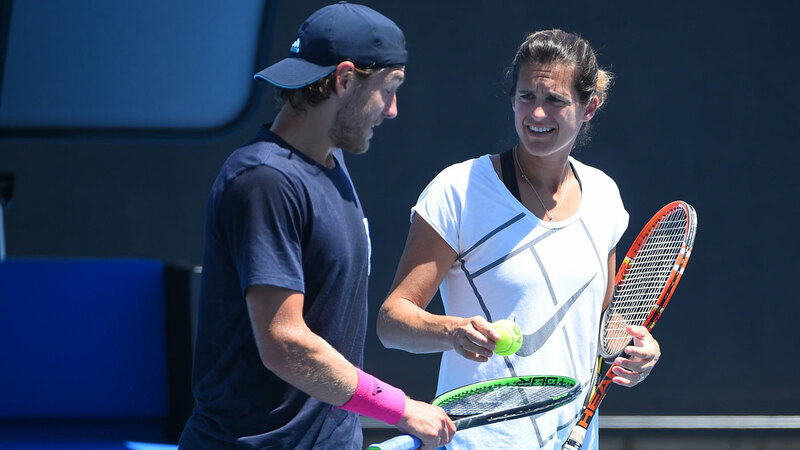 According to Aussie tennis legend Todd Woodbridge this is a skill that Mauresmo possesses in spades and he sees not just Pouille’s words but his actions as evidence to back that up. When the Frenchman hired Mauresmo late last year, the 24-year-old was on the slide and was losing his passion for the sport. Having reached the highest ranking of his career, 10, earlier in 2018 Pouille’s results had taken a southward turn and he needed something or in this case, someone, to push the reset button for him. Speaking to Wide World of Sports, Woodbridge recalls his interview of Pouille only a couple of weeks back at the Hopman Cup as he explains what’s changed for the first time grand slam semi finalist under Mauresmo. “The people that were around him weren’t able to motivate or inspire him in a way that he needed, so he obviously went to search for someone that could,” Woodbridge said. Indeed, Mauresmo took several cracks at playing her best at the pointy end of major championships before she got over the line for her first Grand Slam title, when Justine Henin retired due to an ankle complaint with the Frenchwoman leading 6-1 2-0. Woodbridge says it’s important for players to be able to hear from their coaches about overcoming big challenges in their careers to help them free their mind to the possibility of success. So Mauresmo’s experience as a player who competed and won at the top level is more important, according to Woodbridge, than being male or female. “Amelie in her own career struggled early on with nerves, even in some big occasions, and then broke through,” Woodbridge says. “And I think when Pouille burst on the scene he probably thought he was on his way, expectation hit him and he didn’t know how to handle those things and went backwards, albeit not outside the top 100 but he was knocking on the door of 10, and that can be, ‘oh I don’t have it’ and you start to doubt yourself. In Mauresmo’s two year stint with Murray their best result together was an appearance in the 2015 Australian Open final, where the Scottish champion lost in four sets to his biggest rival, Novak Djokovic. 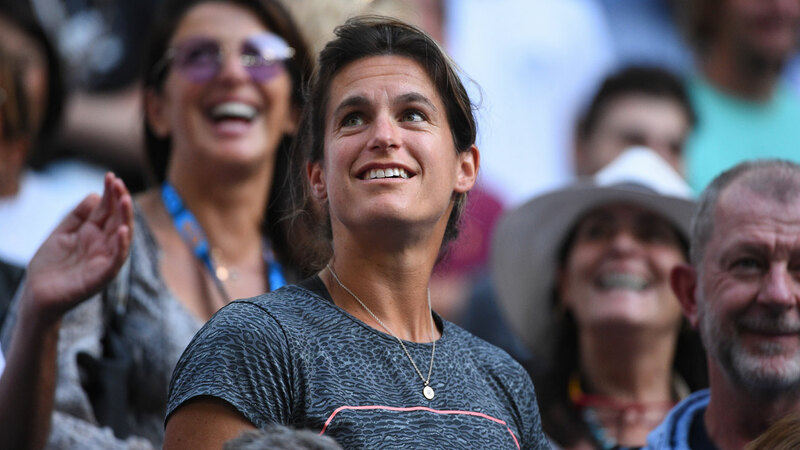 On Friday night, although in a semi rather than a final, Mauresmo will again be in the players’ box as she tries to inspire a victory against the same foe. It’s arguably the toughest challenge that exists in men’s tennis and even having watched Pouille’s rapid improvement since linking with the Frenchwoman, he sees him as a rank outsider against a man who has already won six Australian Open titles. “He’s going to have to play the match of his life to beat him,” Woodbridge asserts. “He’s certainly got a good enough game off the back of the court, we saw how well he played from the back of the court against Raonic, I thought he played a really top notch match. Thankfully, the woman in his corner was a very adept volleyer throughout her career. Perhaps though, their limited time together will make this one challenge too many, even if the union has started with great promise.